I’m uncertain whether the interest in label pins and their history belongs to phaleristics or not. Perhaps phaleristics proper only study symbolic items granted to someone by someone, and not to label pins that you purchase? Until somebody enlightens me on this scholarly obscurity, I will place socialist pins under the label “socialist phaleristics”. Anyhow, the cause for this post is to draw attention to a very neat site about pins form the history of the German Social Democrats that I just stumbled into. Have I look at “Pins zu 150 Jahren SPD-Geschichte”! This blog post is decorated with medallions/charms from the Knights of Labor as displayed in F. Irons & Charles A. Russell, Illustrated Catalogue of Solid Gold. Society Emblems, Pins, Buttons and Charms, Providence, Irons & Russell (1895) and a marvellous pin from CNT-FAI that I happend to find on e-bay. In modern times the so-called Roman salute was immortalized by Jacques-Louis David in his The Oath of the Horatii from 1786. Today the gesture is foremost associated with the Nazis. Less well-known is the fact that until 1941 the Roman salute was likewise used in American civil religion and performed when pledging allegiance to “the stars and stripes”. The idea to pick up the old Roman way of greeting – most certainly imagined with the help of David’s painting – seems to have came up within a group of Christian socialists. Included in this group was the Baptist minister Francis Bellamy who broadcasted the use of the salute, allegedly suggested by a friend in the early years of 1890s, thereby giving rise to the nickname “the Bellamy salute”. I’ll bet Francis and his friends once were knights! It is also noteworthy, that, if I am correctly informed, Francis Bellamy was the cousin of Edward Bellamy, the author of the extremely influential socialist utopian novel Looking Backward: 2000–1887 from 1888. The path transferring the Roman salute of David and French republicanism to fascism and Nazism, is said to go through the Italian epic movie Cabiria from 1914 (that I haven’t yet watched). The author to the screenplay was the fascinating Gabriele d’Annunzio, who in his short-lived republic of Italian Regency of Carnaro mixed proto-fascist themes with radical syndicalism. Conspiracy theories about occult origins of socialism circulate on the Internet. Socialists who have been initiated into freemasonry or accidental similarities between socialist and esoteric iconography are taken as proof of an occult, virtually satanic, genesis of the worker’s movement. Not everything in these far-fetched theories is false however, as the existence of The Noble and Holy Order of the Knights of Labor may indicate. Right now I am in particular curious about the origin of the anarchist A, the one encircled. * I’ve tried to check the authenticity of the emblem. The stated source for it is “La masonería y el movimiento obrero: imagos e ideas para una reflexion teórica” by historian Alberto Valín Fernández. Even though I know one or two words in Spanish, reading Galician is not my thing. I however observe that no emblem is reproduced in the article and that we probably should look into ”The Order of Eternal Progress: the quasi-masonic roots of the First International in the United States» by Mark Lause, presented at the conference “’We Band of Brothers’: Freemasonry in radical and social movement 1700-2000” held in Sheffield in 2004. The Holy and Nobel Order of the Knight of Labor was a (proto-)socialist order, spread all over USA in the late 19th century. The order had something like 750 000 initiated members, males and females, whites and blacks, skilled and unskilled workers. 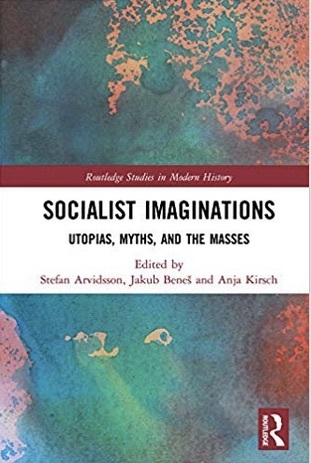 * Despite its huge impact on the American worker’s movement, this romantic and mythic socialist order is today, due mainly to the biased historiography of victorious form of socialism, largely forgotten. The emblems/pins/charms (I am uncertain about the correct term) display the triangle (trinity) of God surrounded by the circle of humanity. If the knights follow the rules of European heraldry, the lozenge-shaped emblems/pins/charms was probably intended for women. The “SOMA” written on one of them is the acronym for the motto of the order: “Secrecy, Obedience, and Mutual Assistance”. * Best book about the K of L is without doubt Robert E. Weir’s Beyond labor’s veil: the culture of the Knights of Labor. University Park, Pa.: Pennsylvania State University Press(1996). ** From Irons, Charles F. & Charles A. Russell (no year, probably 1895). Illustrated Catalogue of Solid Gold. Society Emblems, Pins, Buttons and Charms. Providence: Irons & Russell, updated version of an earlier version by Irons alone.